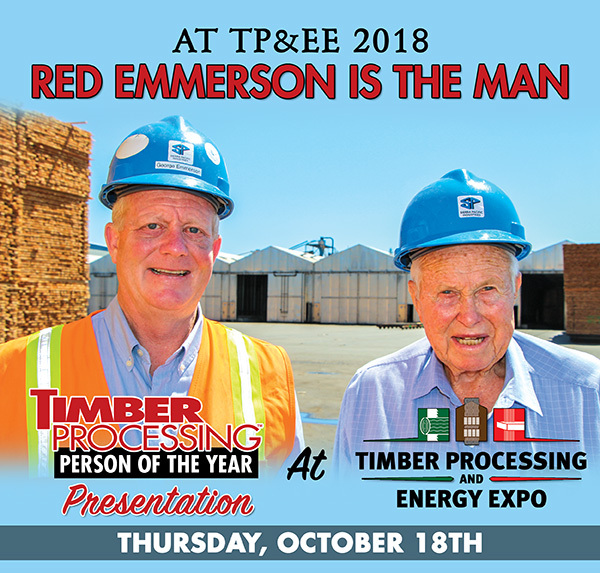 Sierra Pacific Industries founder and chairman emeritus Red Emmerson will receive Timber Processing magazine’s 2019 Person of the Year award during the upcoming Timber Processing & Energy Expo at the Portland Expo Center in Portland, Ore. Timber Processing, the host magazine for the event, will present the award to Emmerson on Thursday, October 18, at 4 p.m. at the Hatton-Brown Publishers Media Presentation Center, booth 503, on the expo floor in Hall E.
Emmerson will be the 31st recipient of the award, which first went to another Northwest sawmiller, Duane Vaagen, of Vaagen Brothers Lumber in 1989. Today Sierra Pacific operates 14 sawmills in California and Washington, producing in the range of 2.6 billion BF annually. The company owns 1.95 million acres of timberland in those states. Emmerson, 90 years old, started the company from scratch with his father. Shown in the above photo next to Red Emmerson is one of his sons, George Emmerson, who is president and CEO of Sierra Pacific Industries. 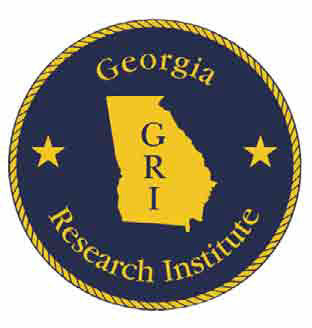 A short reception will follow the presentation. “Anybody on the show floor at the time is invited to walk over and enjoy the presentation,” Donnell says.